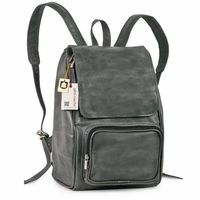 Whether you're looking for a shoulder bag, laptop bag, briefcase, or backpack made of genuine leather – you surely find one in our wide range of leather bags. We are dedicated to bringing you high quality leather bags, all of which have been expertly crafted in 100% genuine leather. The distinctive design of our leather messenger bags combines thoughtful functionality with innovative details and longevity with a convincing price-performance ratio. All articles are hand-crafted in family owned manufactures. Before starting production the leather is carefully examined and chosen. So we can guarantee that our bags are free from the harmful substances AZO, PCP, DMF and ChromVI. So our leather briefcases and satchels turn out to be not only a practical and attractive accessoire but also an ecologically friendly product. 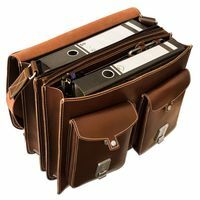 Our briefcases and a multitude of other leatherware are top-quality – that's our commitment. Therefore all our products have a warranty of two years given appropriate usage. With the help of our briefcases, rucksacks, satchels, or laptop bags you are equipped for all occasions in life, whether business or leisure, sports or travel. 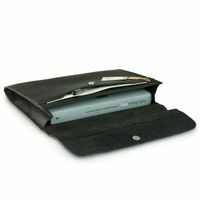 Each of the leather bags has several practical compartments for your documents as well as all the everyday bits and bobs. As you see in the photos, each leather briefcase has its' own convincing and unique details. You can take your choice from a wide variety of designs and leathers. 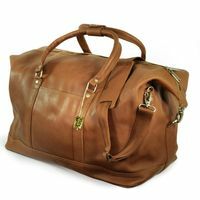 We offer leatherware made of top-quality soft nappa, natural tanned oiled leather, and buffalo. Most of our briefcases are spacious enough to store a laptop. 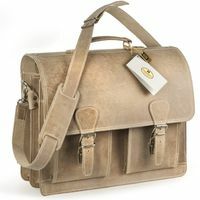 If you are specifically interested in laptop bags you will find a wide range under the heading 'laptop bags'. Designer leather bags are never out of fashion, no matter what prevailing trends! Having a leather bag in your attire can spruce up a seemingly flat outfit and give a touch of style, chic yet comfortable. This all-time favourite for both men and women alike can accompany you in every part of your daily life; from a relaxed evening out with some friends, to your outdoor activities, the office, or an appointment at which you want to impress and look the part. 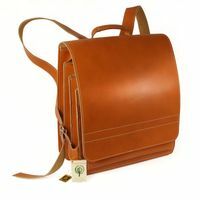 A leather backpack can also be a great graduation gift, or an excellent companion in your daily endeavours! 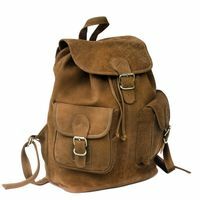 A vintage leather rucksack is an excellent accessory that can be matched with any colour and style, while cross-body bags are the ideal travel bags, for both men and women! With Jahn-Lederwaren bags, any transition from bicycle to the office to the pub has never been easier! 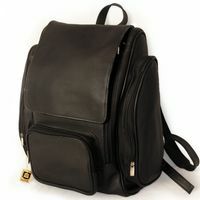 Besides style and manufactured-quality, a leather backpack should have durability and comfort. When you find everything together, you've got yourself the best deal! 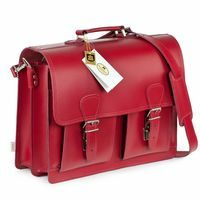 Whether it's nappa leather shoulder bags in fabulous vivid colours for the trendy ladies, more subtle colours to please all tastes, luxury leather cross body bags, prime-quality convenient designer leather briefcases, leather satchels, messenger bags, iPad cases that impress or phone pouches that compliment every outfit, we have it all!